Filmbankmedia represent many of the leading Hollywood, Bollywood and Independent film studios and distributors in over 100 countries and territories. 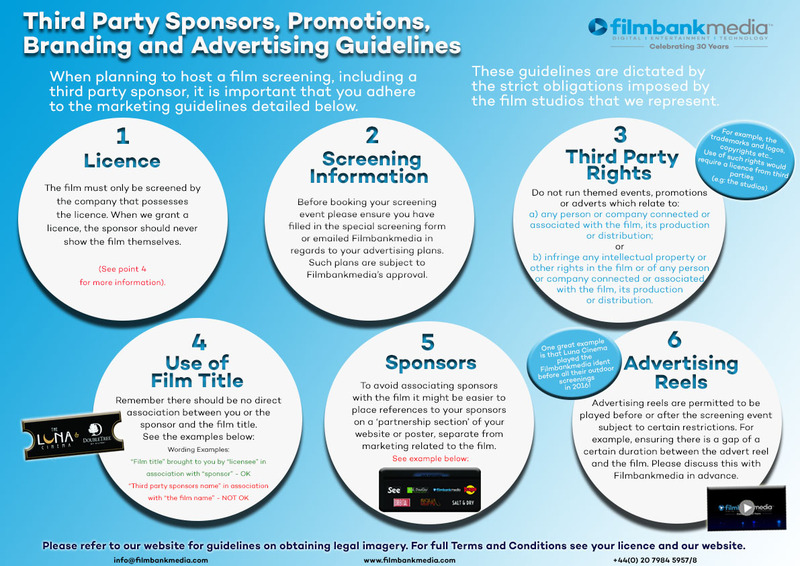 The following information details the film rights applicable for the STSL in the UK only. For screenings outside of the United Kingdom, please click here. Filmbankmedia are able to provide films on DVD from a number of studios and distributors on 'early release', meaning many films are available to screen 8-12 weeks after release in UK Cinemas and prior to Home Entertainment release dates. The Home Entertainment release date refers to the date a film has been made available to purchase or rent on DVD/Blu-Ray through legitimate UK outlets. This is typically 18-26 weeks after release in UK Cinemas. Follow our five simple steps to set up an account and start screening films! Need advice or guidance? Contact our friendly team today.